High performance. Red colored polypropylene backing for aesthetics, reinforced along the length with continuous glass filament. 380 lb/inch width tensile strength with good initial adhesion and high shear strength. Excellent aging. 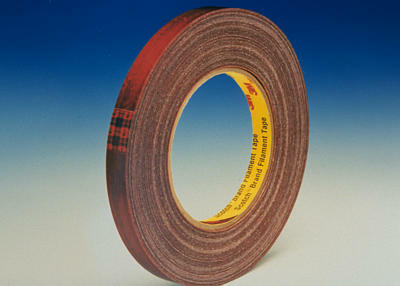 High performance tapes with tensile strengths ranging from 20-600 lb/inch width. Range of specialized properties such as stretchability, weather resistance, bi-directional reinforcement, and transparent colors.